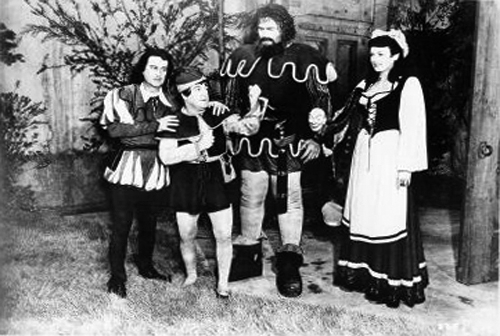 The beloved tale of Jack and the Beanstalk gets a slapstick retelling in this version starring the masters of comedy, Bud Abbott and Lou Costello. While babysitting, Jack (Costello) falls asleep and dreams that he is the same Jack as in the story and he finds himself in a fantasy land where he must battle a fearsome giant and steal a hen that lays golden eggs. All the elements of the beloved story are here – along with a thousand laughs. Hilarious for the whole family. Mel Blanc, without credit, provided the voice work for the farm animals. Young David Stollery would go on to TV fame as Marty in the Mickey Mouse Club series SPIN AND MARTY.